Like a stamp on a postcard, Northeast Washington sits at the state’s top right edge delivering wish-you-were-here destinations. Chief among them: the International Selkirk Loop, a 280-mile scenic road winding through the breathtaking Selkirk Mountains of Washington, Idaho, and British Columbia. 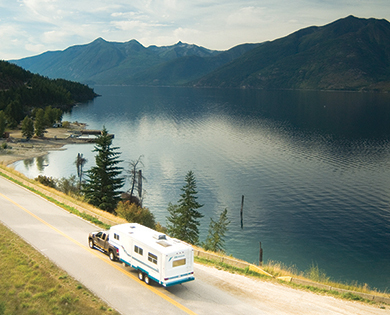 North America’s only multi-national scenic drive and one of only 32 All-American Road National Scenic Byways, the roadway connects crystal-clear rivers and lakes, miles of hiking trails, welcoming small towns, and quiet spots to set up camp under the stars. Whether you’re traveling by car, bike or motorcycle, local experts offer five great reasons to tour the Selkirk Loop this summer. 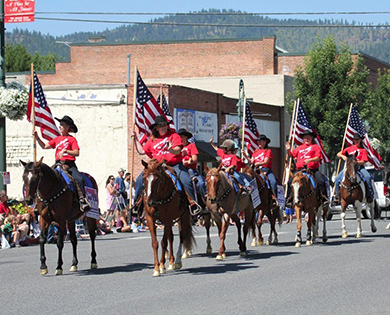 Enjoy the Chewelah Chataqua Parade in mid-July. 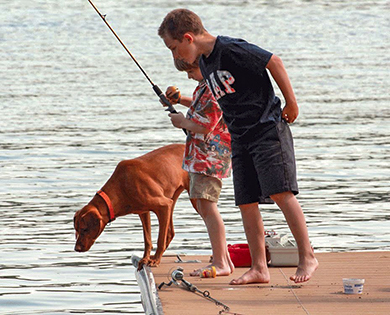 A trio of fishermen trying their luck at Waitts Lake in Stevens County. Winding along the lakes and river valleys of the Selkirk mountain range is a fabulous adventure. How long does it take to complete the International Selkirk Loop? Well, that’s up to you. The main loop clocks in at 280 miles but adding in some “super side trips” can extend the journey by 500 miles. “There are people who come and stay for two to three weeks and others who are here for two days,” says Stephanie Sims, executive director of the non-profit association that promotes the byway. “Whatever your heart’s desire, you’ll find it.” The group’s mobile app and travel guide are valuable resources. Shelly Stevens, who handles marketing for the Tri-County Economic Development District, suggests slowing down and enjoying the region’s small-town festivals, including the July 13-15 Chewelah Chataqua, one of the oldest and longest running festivals in eastern Washington. Check local events calendars for upcoming happenings. At the end of the day, choose a small-town brew pub, winery or café to relax and plot your next adventure. The Northeast Washington Insider mobile app offers recommendations and rewards you for checking in at member businesses. Spend the night at local hotels or campgrounds. 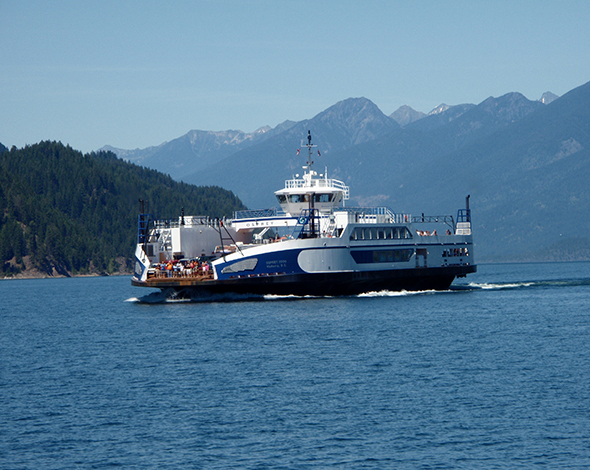 The Osprey Ferry on Lake Kootenay is the longest free ferry ride in the world. 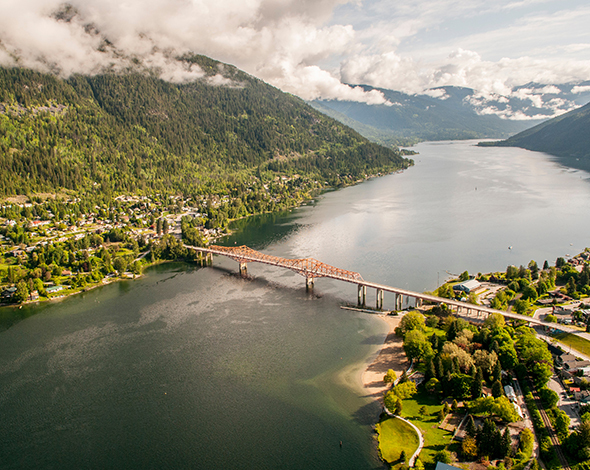 A graceful bridge crosses Lake Kootenay to charming downtown Nelson, B.C. 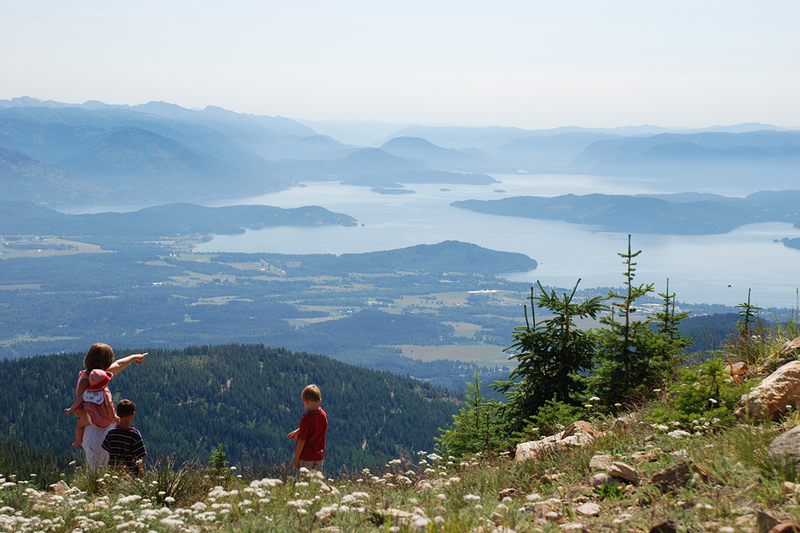 A family of young hikers takes in the view of Lake Pend Oreille from high atop Sweitzer Mountain. Wildflower meadows come to life in spring and last through fall. A short respite to reflect in the mist of Beaver Creek Falls. Former railroad routes have become popular Rail to Trail paths for bikers, hikers and horseback riders. 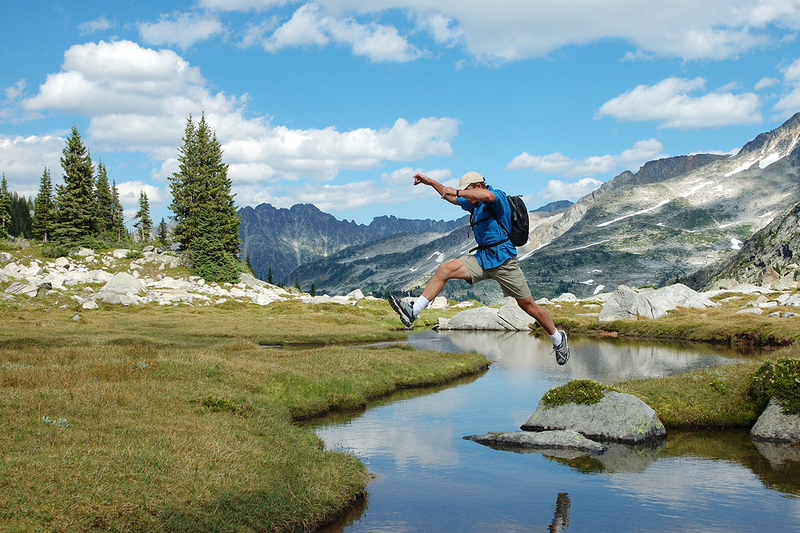 There are almost 500 miles of multi-use trails in Northeast Washington, including over 140 miles of the Pacific Northwest National Scenic Trail. 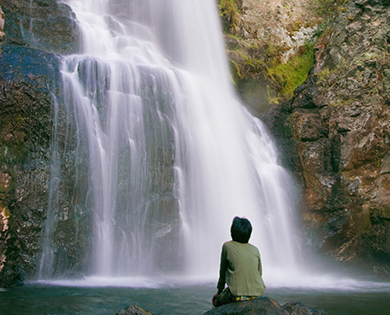 “There are probably 20-plus waterfalls hidden in the mountains,” Sims says. “You can take a short little hike—maybe a quarter mile—to a beautiful waterfall where you can swim in the pool.” During the summer and fall, wildflowers color the paths. Look for lupines, rosa rugosa, yarrow, Indian paintbrush, and, in late summer at higher elevations, patches of wild huckleberries. On your bike? 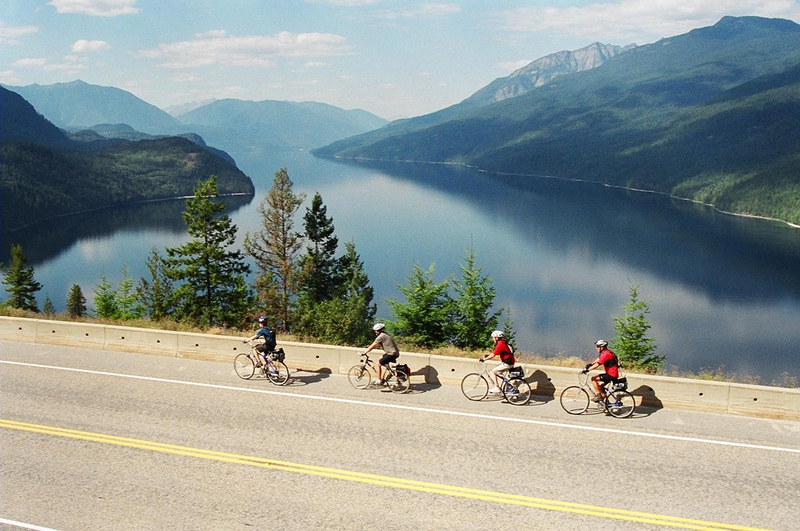 Whether you’re cycling the entire loop or stopping to pedal along the way, you’ll find world-class routes. Guides for road bikes and mountain bikes detail the scenery, elevation and distances. 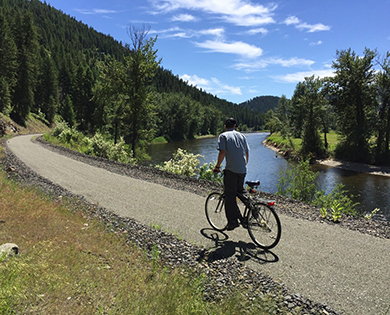 There are also more than 200 bodies of water to explore, including the 70-mile Pend Oreille River Water Trail. Keep your eyes open for wildlife such as elk and bear. Bird watchers will also love the variety here. 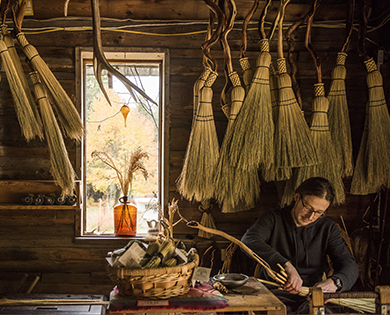 An artisan making brooms in his Crawford Bay B.C. studio. Several artist studios are available to tour here. 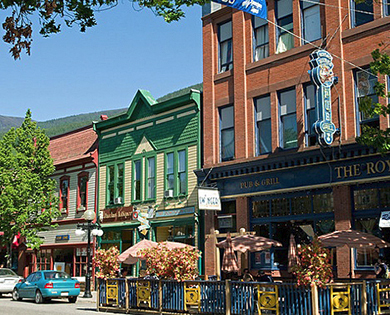 Downtown Nelson B.C. is a delightful destination any time of year. 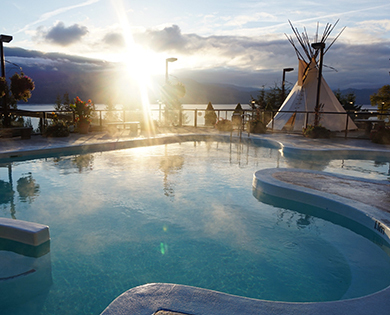 Founded in 1883, Ainsworth Hot Springs is the oldest surviving community on Kootenay Lake. With more than 1 million acres of forested, wilderness areas, wildlife sightings may be more common in this remote corner of the state than cell and internet service. 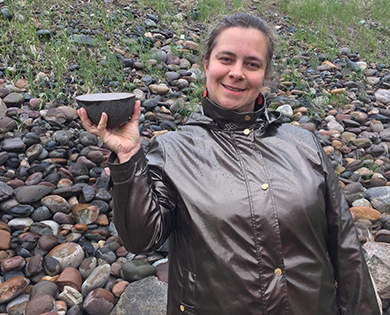 “It’s a lonely, forgotten corner yet very civilized,” says Sonya Scauflaire, the volunteer executive director of the Pend Oreille (say POND-o-RAY) Region Tourism Alliance (PORTA). “You can come here and very easily reset your circadian rhythm with untouched scenery and outdoor adventure without leaving behind the basic infrastructure we’ve all become accustomed to. You’re connected to nature but still connected to everything else that makes the world go ‘round." As you drive the Selkirk Loop, you’ll find hip food and culture in the eclectic arts towns of Nelson, B.C., and Sandpoint, Idaho. Also noteworthy for arts and shopping are Kaslo, B.C., Bonners Ferry, Idaho, and Colville, Metaline Falls and Newport, Washington. The Selkirk Loop is the marketing brainchild of regional business owners, who began piecing together the route in 1999. The loop’s picturesque, glacially carved river valleys and historic communities met the criteria for a state and, eventually, a national scenic byway. 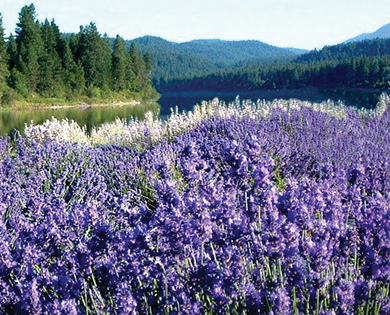 It became international when business owners in neighboring British Columbia joined. “It’s an excellent partnership,” Sims says. “There isn’t any large industry here,” adds Scauflaire. 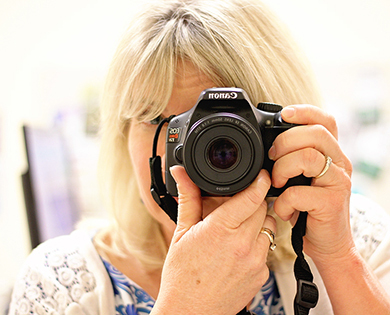 “It’s filled with cottage industries or entrepreneurs who are here because they want to be here. We really view every tourism dollar as extremely valuable. The money really does stay local.” Stevens says the region’s affordability adds to its appeal. Learn the area’s fascinating history at museums along the route including the Pend Oreille County Historical Museum in Newport, the Kettle Falls Historical Center and the Tiger Historical Center and Museum. Pro tip: Crossing the border into British Columbia? Bring your passport or, if appropriate, enhanced state driver license. Leave guns and other weapons behind. Consume fresh fruits or vegetables before crossing into Canada. Recommended stops: “The Vista House viewpoint on Highway 31, north of Metaline Falls, provides an awesome view of Seattle City Light’s Hydroelectric Project, Boundary Dam. Especially right now with the high river levels, the view of the spilling water is awe-inspiring.” Dam tours are available. 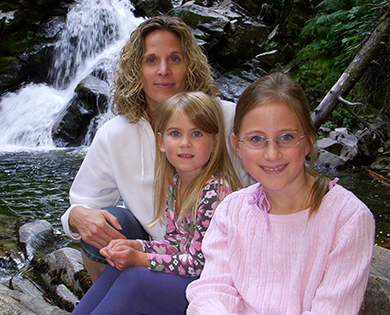 She also recommends the Scenic Pend Oreille River Train and a visit to Metaline Falls, the quaint town is a popular spot along the Pacific Northwest Trail.